Walls, fences, barriers – will these be the symbols of our relationship with the world at the beginning of the 21st century? Since 2000 to today, over 70 walls can be counted extending over 40,000 kilometres. Melilla fences off entry to Spain, Hungary and Serbia block the Balkan route, Calais in France hinders the passage to Great Britain, Israel barricades itself against the Palestinian territories, the United States stands against Mexico and North Korea against South Korea… The new world presents a mix of globalisation – with its utopia of a human community based predominately on trade – and its opposite: the rejection of the global community and refuge in individuality. At the time, the fall of the Berlin Wall seemed to herald the end of divisions between peoples. This has not been the case. Can we give up and accept these tendencies, this rejection of the Other as an irreversible phenomenon? What role can a cultural event play in this context? Our response can only be artistic. Seeking to achieve this is urgent; it is the duty of civilisation. 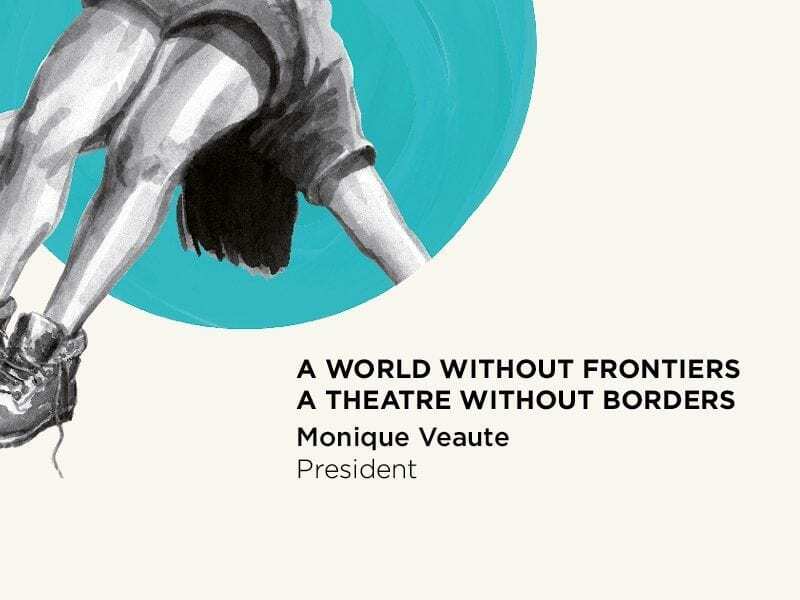 Because we are convinced that the role of culture – especially in its active forms and expressions such as cinema, theatre, live performances, literature, art – is to open us up to discoveries, to create curiosity and offer access to different visions of the world. Promoting openness to knowledge is one way of being able to deny false preconceptions concerning the risks that our society runs in encountering other civilisations. If it is true, as Giuseppe Laterza suggests, that culture improves us due to enriching and amplifying our vision of the world, then it also promotes a different relationship with the Other, rendering the community more livable. This means that we have a task to carry out. It is a challenge that the Romaeuropa Festival 2018 intends to accept by inviting artists from Africa, China, Iran, Argentina and Brazil. Through theatre, dance and performance, stories will be told that have marked the imagination of their countries, using irony and strength to transmit feelings that sometimes seem close to our concerns and that instead have their roots in a reality of which we often know little or nothing at all. It will be interesting to compare approaches through the eyes of artists such as Milo Rau, a European director who will discuss the function of theatre in our society. What we are seeking to achieve with this edition of Romaeuropa Festival is to follow a path undertaken by one of the most visionary European artists, Peter Brook, a protagonist of Romaeuropa Festival 2018. He has led us on a discovery of the literary heritage and traditions of other civilisations: of India with its Mah?bh?rata, of Persia with The Conference of the Birds and Africa with more recent installations. Some pathways cannot be blocked, such as those of creation. Great artists have paved the way for many creators of today, including the likes of Frank Zappa, Arvo Pärt and John Adams, to whom we will pay tribute in this 2018 edition. Then there are those who transcend genres or who separate the traditions of entertainment into categories in order to create territories of pure invention – a world of imagination, unbridled genius and freedom where the players are transformed into chimeras, animals or works of art, where fridges and pots are the protagonists of the scene, or where cabarets are constructed, such as that in which the splendid Vimala Pons does a reverse striptease whilst her companion Tsirihaka Harrivel launches himself from a 9-metre-high slide. As with the other recent editions, this year’s Festival has found collaborators all throughout the city. These consist in major cultural institutions: the Accademia Nazionale di Santa Cecilia, Musica per Roma, the Opera di Roma, the Teatro di Roma, the Terme di Diocleziano, and for the first time the Palazzo Barberini and La Pelanda, one of the central locations for emerging creations and cultural offerings for children. Private institutions such as the Teatro Olimpico and the Teatro Vascello are also essential partners for us, having been by our side for years. This journey through the city is specificity and a richness – both regarding the quality of the human relationships that have been created with the managers of these cultural institutions and in the sharing of our role as “passeurs”, as Daniel Pennac called us. Cooperation and exchange have always been important values in our rapport. It would not be possible to produce the Festival without MiBACT, the Lazio Region and the Municipality of Rome. The press and Italy’s national public broadcasting company RAI have been attentive protagonists, managing to transmit the messages of the creators, arousing interest in and curiosity about ephemeral art, generating a great deal of attention from our public. The word “our” is not intended to define ownership but is instead a sign of affection towards those who have followed us for years, critiquing and pushing us to be increasingly heard, ever more a showcase for the changes in our societies. Finally, and also on behalf of Fondazione Romaeuropa’s Board of Directors, I would like to thank Fabrizio Grifasi for his great sensitivity and intelligence in creating such an innovative programme, believing in the intelligence of the public and our partners. None of this would have been possible without the contribution and participation of the Romaeuropa staff, for whom barriers are merely obstacles to be overcome.